These stores weren’t always filled with banners displaying slogans like “everything must go” and “entire store on sale.” In fact, the idea of a Blockbuster Video location closing was probably once thought to be preposterous. - The Blue Ash, Ohio Blockbuster Video in its last days. December, 2013. In 1994, at what was probably the company’s zenith, the entire organization was acquired for $8.4 Billion. And although it would never be valued that highly again, the chain kept churning out profits through the 90s, a mainstay of suburban strip malls. Most people visiting this site probably don't find these photographs to be foreign. 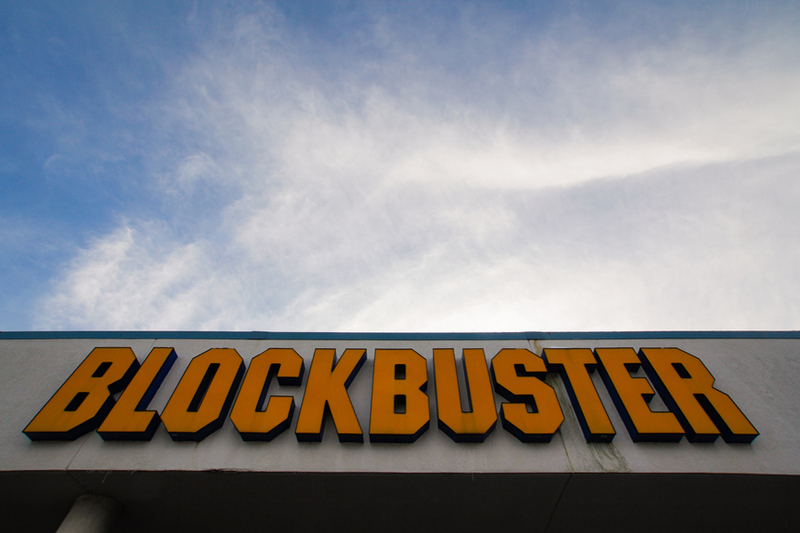 It wasn't that long ago when Blockbuster was a household name. The company teetered toward bankruptcy in 2010 and officially went defunct in November 2013. These particular images hail from December of that year, when the last surviving stores were having their inventories liquidated. This particular location was in the Cincinnati suburb of Blue Ash. The employees manning this place in its final days were friendly, kind enough to let me make some photographs even though the corporate policy technically prohibited it (there wouldn’t be a corporation to enforce such a policy in a few weeks anyways). I was on a break from my own retail employer of the time—located just up the road, a store specializing in the type of products that made video rental shops a rarity. This location had been pretty picked over. Most movies still on the shelves were the kind that had skipped theaters and went straight to video. After all this time, they were still waiting for someone to maybe give them a try. I made these photographs because I thought they might be interesting to look back on one day, but wasn't sure when that would be. 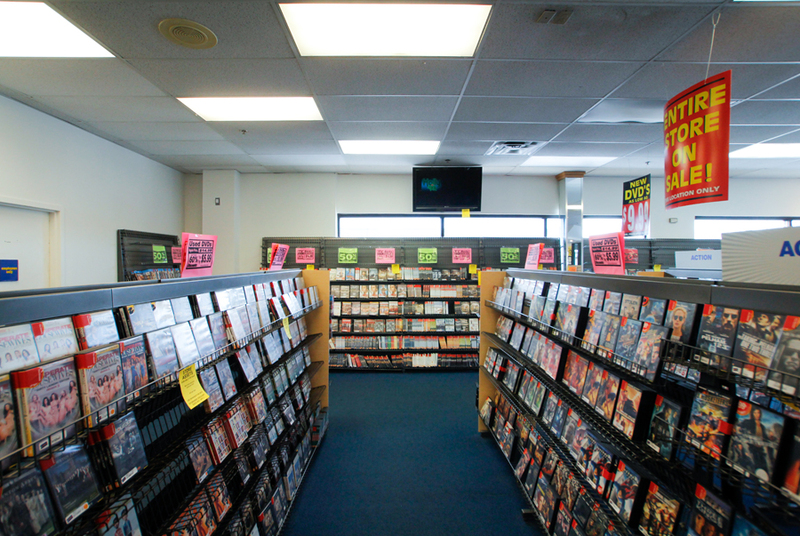 This is an interesting subject to approach and write about, because physical video rental stores aren't totally obsolete or extinct, even though the most iconic provider of the service is. There's a nuance to this industry’s story. We’re not talking about something “destroyed by millennials,” or any particular generation of patrons. Rather, consumer trends evolved across the demographic board and quite rapidly. 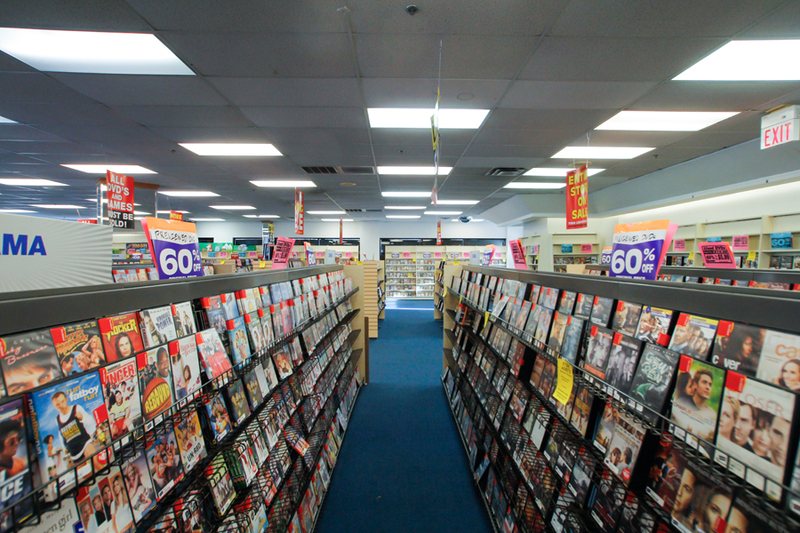 On a personal level, in nearly thirty years of life, I watched stores go from asking customers to “be kind and rewind,” to offering DVDs, to then providing Blu Rays, and eventually disappearing as a common concept altogether. I quickly embraced Netflix, Hulu, iTunes, and the other platforms as they became available. And I’m certainly not the only one. 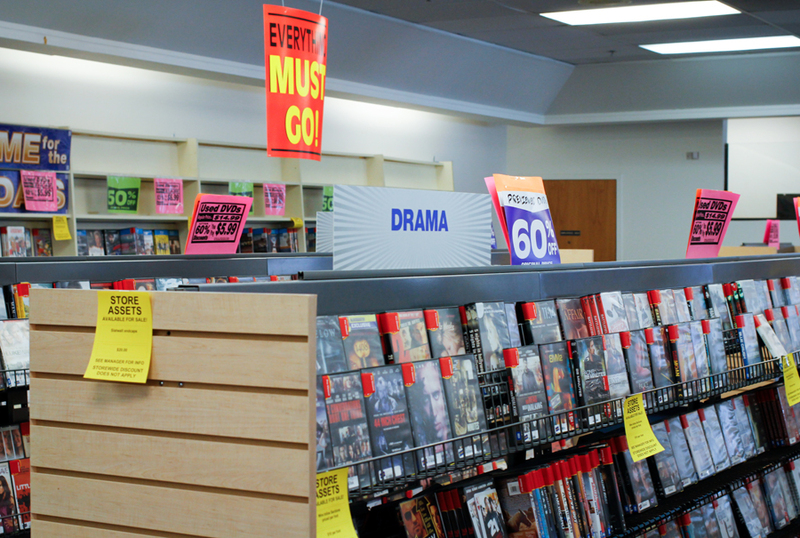 It's hard to even describe Blockbuster’s heyday as “the old days,” because those days simply weren't that long ago. The video rental industry was upended and supplanted so incredibly fast. Kodak? That was a company left for dead when I went to college and enrolled in a Photojournalism program. And yet, here I (and many others) are still purchasing Porta 400 and paying to have film developed. Vinyl? Although mp3’s and iTunes came to dominate, records (and even cassettes) have become a niche market that has found not just survival, but new growth and interest. It's not unheard of to see a new record store opening. 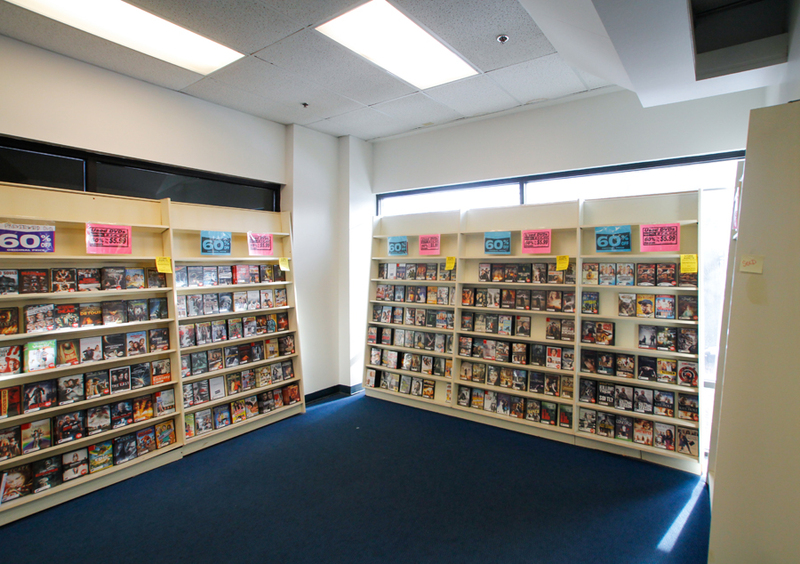 It is unheard of to learn about a new full service, brick and mortar video rental store opening. The closest thing I've seen is the video store that popped up in Cincinnati’s Walnut Hills neighborhood (but even that is just a humorous facade for a unique bar). 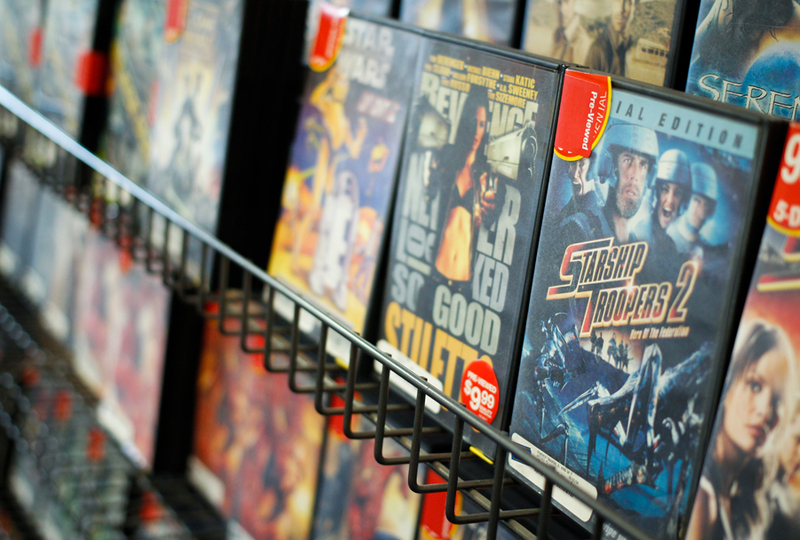 Unlike film and vinyl, Blockbuster offered no aesthetic or quality that couldn't be replicated or surpassed. Digital streaming features high-definition picture and while decision fatigue may exist as you scroll through your Netflix queue, that was certainly a real thing when browsing aisles of B-movies (because what you really wanted to rent was seemingly always out of stock). If there’s one aspect of these stores that I’ve ever heard people say they do miss, it’s the "staff picks" or their favorite employee (of which Blockbuster once had 84,000+ of worldwide) who could recommend something. These days, though, even outside of social media, it’s easy to come across a friend, relative, acquaintance, or passing stranger who will relentlessly espouse why you should watch (insert show/movie here). The fact is: catching the latest, sampling something new, or rediscovering an old production is incredibly easy and accessible. You can tailor your tastes and consume more in less time than it took to drive to the store, open a membership, or pay a late fee. Blockbuster’s industry successors have even launched their own creations and content, with many of of their productions finding critical acclaim. Hulu’s The Handmaids Tale is probably more worth your time than paying $3.99 to rent Starship Troopers 2 for a weekend (because, of course, the original and brilliant Starship Troopers 1 wasn’t in stock). Netflix, one of the original and most subscribed to services, began by offering DVDs via mail before it debuted on-demand streaming. 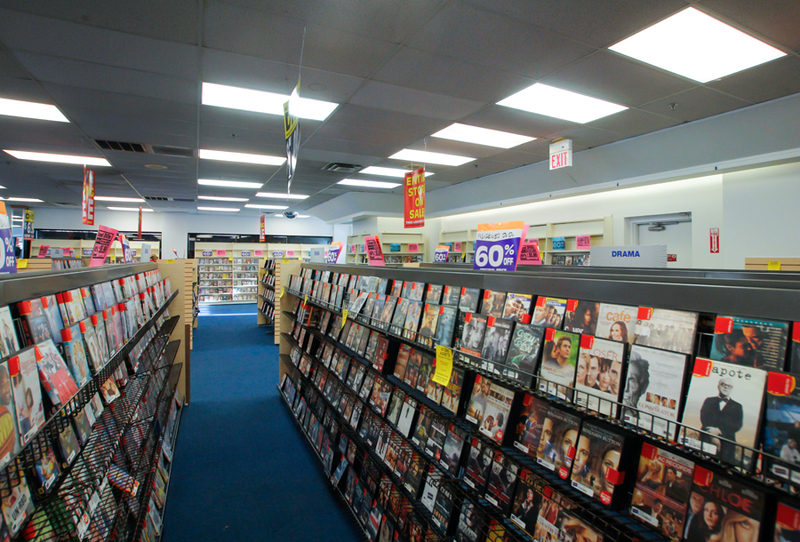 Back then, it really only saved you a trip and circumvented the punishing late fees that video stores became notorious for. Netflix's co-founder approached Blockbuster in 2000: for a cool $50 Million, the video rental giant could purchase his up and coming company. The company later attempted its own short lived movies-by-mail rival and a half-hearted streaming service at one point—but unless you bought a smartphone circa 2010 with the Blockbuster app pre-installed on it (that you couldn’t delete), you probably had no idea that either service ever existed. Was the company too slow to adapt? Too big to move within the market? Did it suffer from a lack of innovation? Was it yet another corporate behemoth strangled by its arrogance and unwillingness to change? Or did it everything just happen too quickly? In the end, it doesn’t really matter. 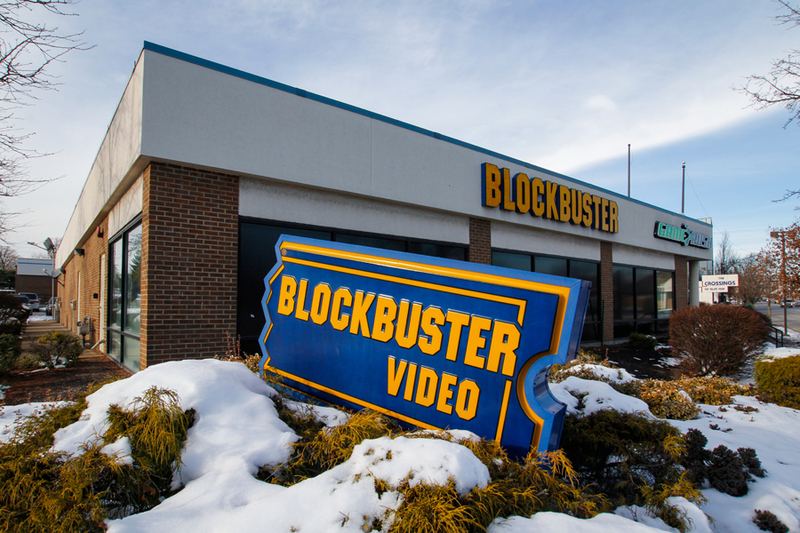 Netflix and other streaming platforms provided something that completely circumvented the need for 9,000 physical Blockbuster locations across the United States. Even if the iconic blue and yellow brand had adopted similar content services, it wouldn’t have maintained its traditional operation or existence. There’d be little need for stores and employees would've still found themselves to soon be former employees. As soon as dial up internet morphed into high speed offerings, Blockbuster’s fate was sealed. So goes the march of time and progress. Movie theaters are now struggling for reinvention and customers. Cable television is decaying after years of horrible customer service and market collusion. Things change and I’m sure even this blog post will seem dated at some point too. Yet, nothing seems to have fallen as quickly to the digital march as Blockbuster. While the company may have ceased, it’s not entirely fair to speak of “traditional” video rental in the past tense. The Family Video chain survives and independent outlets can still be found, particularly in rural areas and vacation spots where high-speed internet access may be less common. Libraries still rent physical media and many people still own vast, personal libraries of VHS tapes, digital video discs, and Blue Rays (thanks, Nick, for letting me borrow Iron Man 3 on DVD a few weeks ago). The economics are interesting too (and admittedly, this story and its environs are all first-world privileges not necessary to the function of normal life). 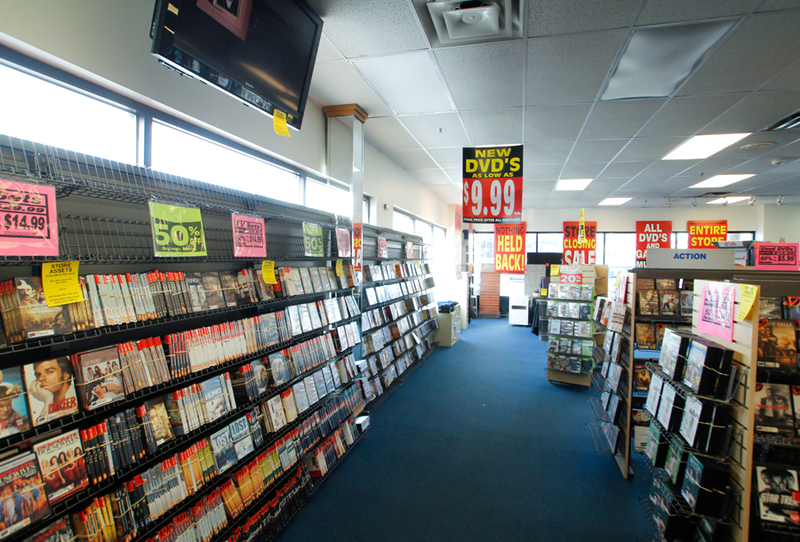 Between various periods of Netflix, Hulu, Prime Video, and HBO Now subscriptions, as well as renting from iTunes on occasion, I’ve probably spent more money over the internet than I would’ve ever spent at Blockbuster in a lifetime. Even if streaming entertainment isn’t your thing—or if you prefer physical media—the Redbox kiosk outside of your local grocery store pretty much condensed Blockbuster’s entire business model into a vending machine. There was a story going around for awhile, a half-truth told by Netflix CEO Reed Hastings. He supposedly got the idea for his company after he was saddled with exorbitant late fees when failing to return Apollo 13 to his local Blockbuster on time. These days, that story has turned out to be a bit apocryphal, but it speaks to a previous time—a concept now only familiar at the public library. When I visited the store in these photographs, everything was for sale. The only thing I bought: a DVD copy of Apollo 13 for $1, hiding in the bottom of a discount bin. When I went to dig these photographs up, I tried to find that souvenir copy of Ron Howard’s 1995 award winning film, but I have no idea where it is. The movie is streaming on Hulu. And available to rent on iTunes. 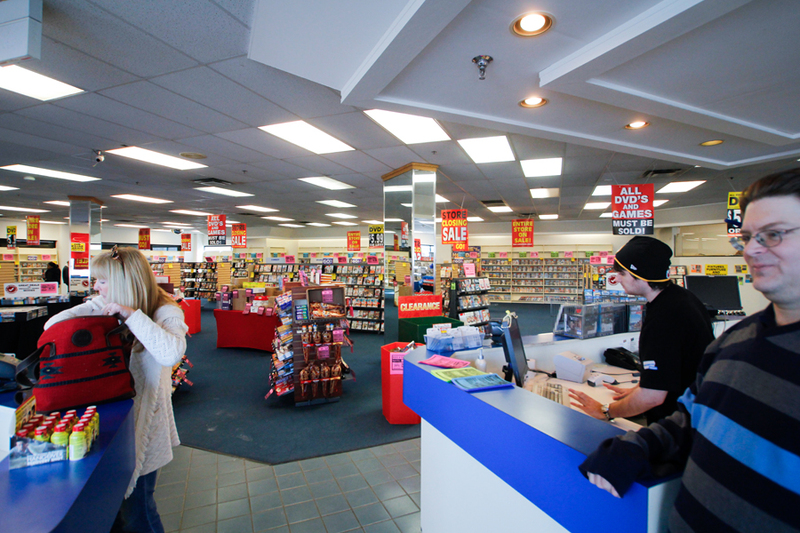 As of this publishing, these photographs are just over six years old and only one Blockbuster store still exists in the world. You can find it in Bend, Oregon. I really enjoyed this post! 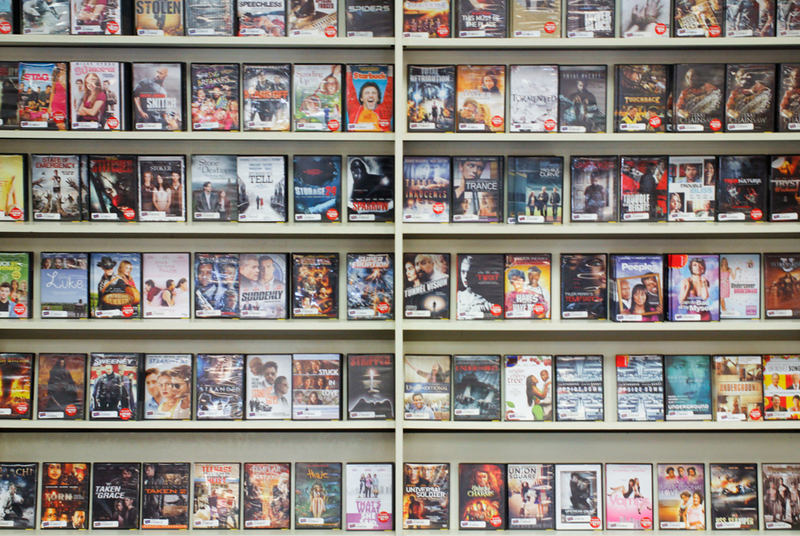 One thing that gets overlooked in the decline of the video rental business is the fact that when DVDs became the preferred medium, they were immediately priced to own at the same time they were available to rent. 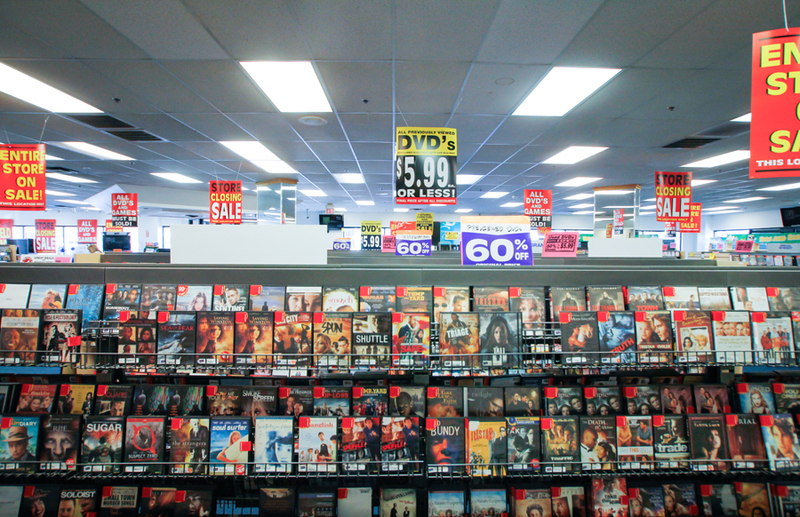 In the days of VHS, to purchase a new release was around $100 for most films. Exception was given to films that did huge business at the box office - Batman (1989), Home Alone, and Forrest Gump are a few that come to mind that were priced to own right away. So, in most cases it made better economic sense to rent the film. It usually took the better part of a year before most movies could be purchased for a reasonable price at Suncoast or Best Buy. 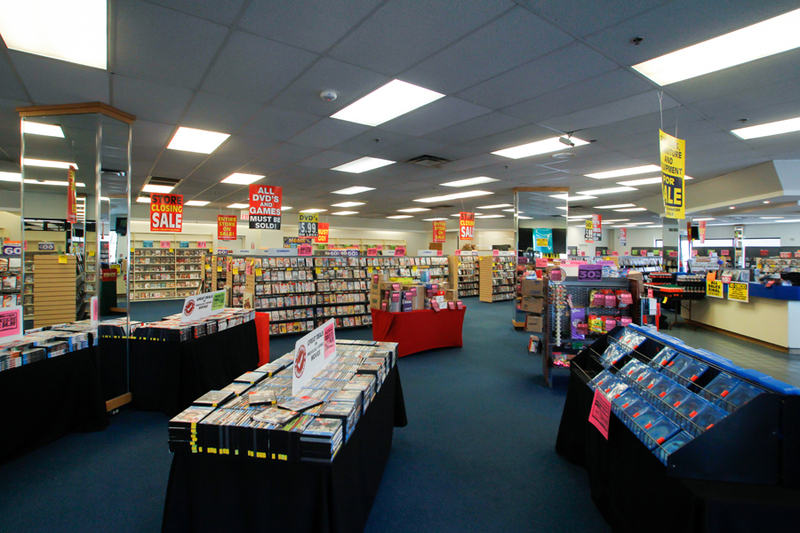 When DVDs started replacing VHS, the movies were priced to own right away. I know there were several occasions when I opted to take a chance and buy a new release on DVD for $15 or $20, instead of spending $5 to just rent it. I first noticed a decline in my own video rental habits around this time in the early 2000s. 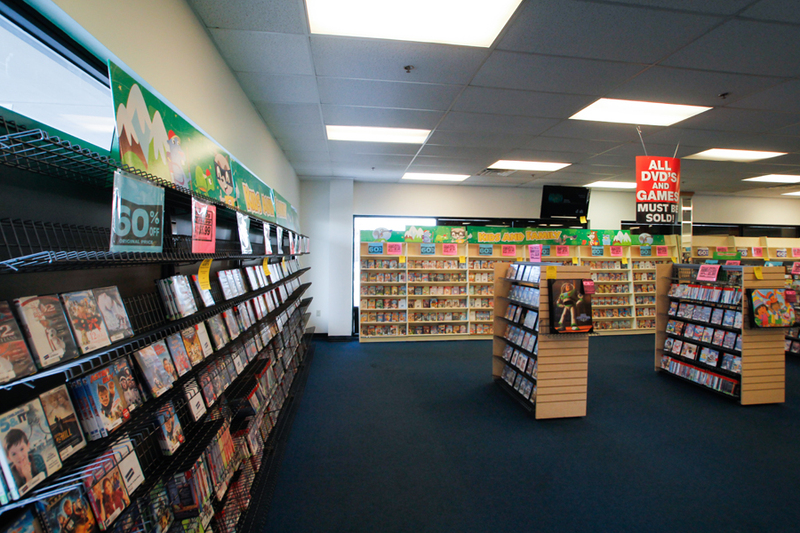 Once streaming came along, that sealed video rentals fate the rest of the way. Wow, Zach, thank you! I didn't even know about that bit of history. In the time I was growing up, I think a lot of VHS tapes were already priced to own. We had a ton of (purchased and hand-me-down) Disney tapes, etc. I had no idea new releases were priced so high. That makes video rental sound so much better. Also speaks to VCR technology and how those were once rented too. Appreciate the context you've shared.